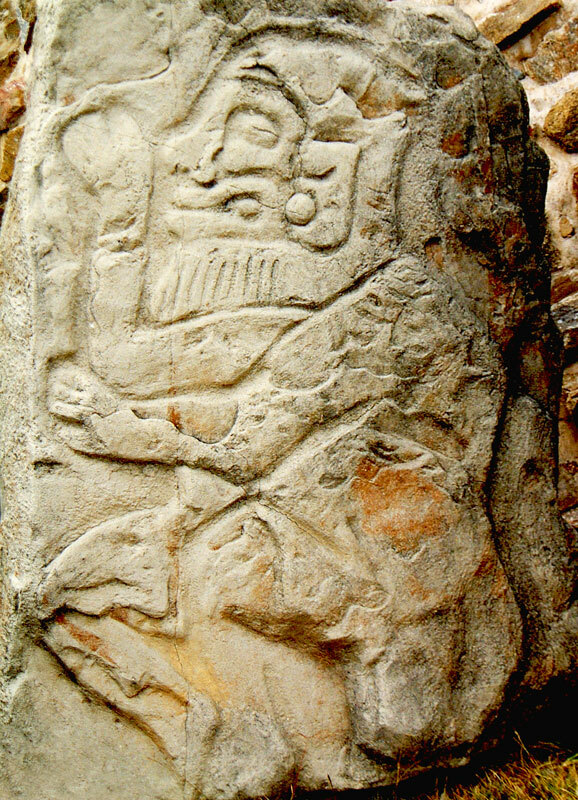 January 21, 2014 578 × 800 Monte Alban – Are The Danzantes Evidence of an Epidemic? Sitting next to image 0271, of two bearded men, this Danzante also features the rubbery faced style of the Olmec and a beard. As the indigenous population did not grow beards, these bearded characters must have been mysterious foreigners or fictitious. Find out more by reading the article on the Legends of the Bearded Men.